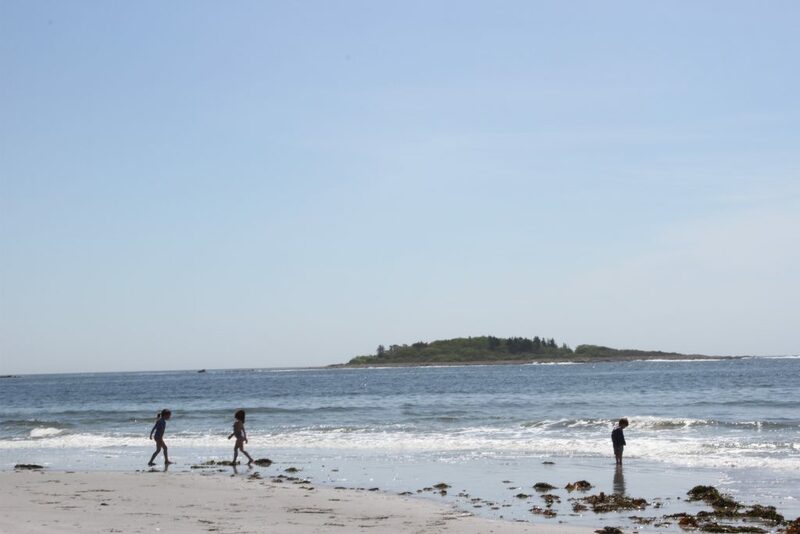 We just got back from a trip to Kennebunkport, Maine with kids. 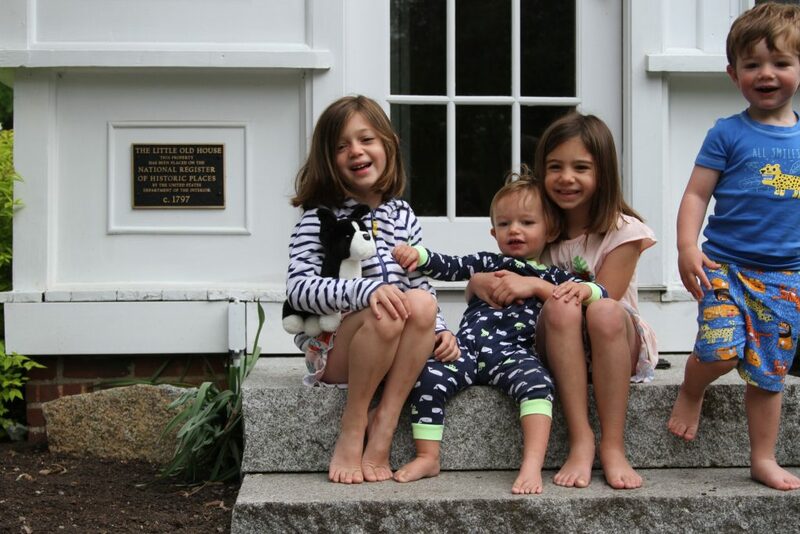 It was our first family trip to Maine. We like to try new places each summer, but we loved Maine so much, we are already planning next year’s trip. I’ve wanted to visit Maine for years, but put it off due to how long it was going to take us to drive there. 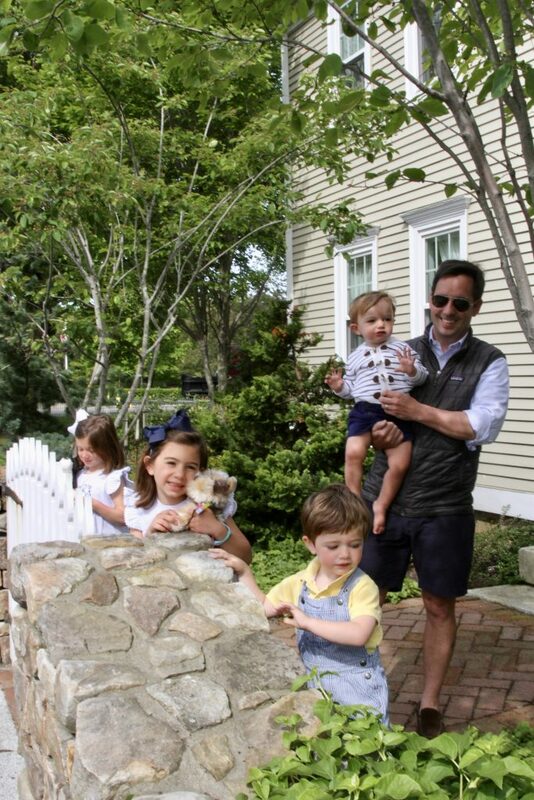 Then I started reading about Kennebunkport and discovered it was in the southern part of Maine and about 5 hours away (still a long car drive with 4 kids, but a doable road trip). I’m so happy we made the trip. 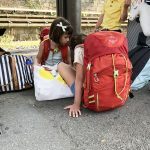 It was a wonderful week and a destination I would highly recommend with kids. 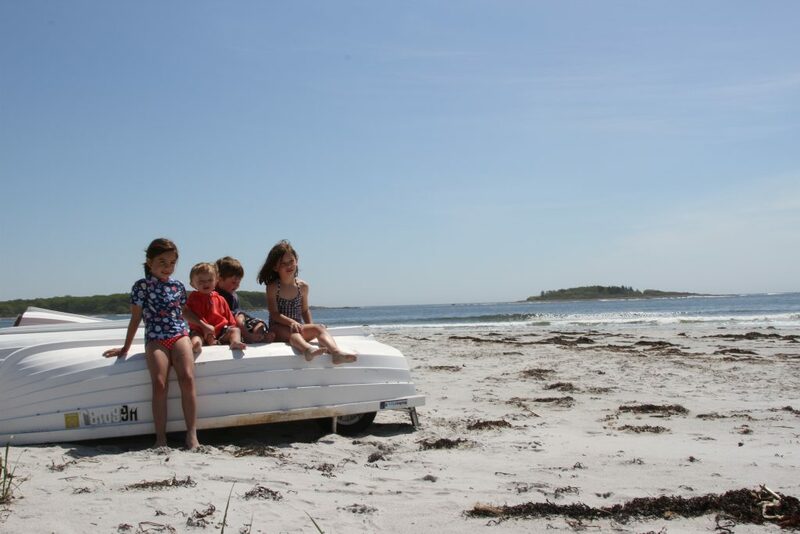 Below are my recommendations for travel to Kennebunkport, Maine with kids. Over the next few weeks, I’ll be going into detail on some of the activities and places to stay in addition to a whole post about Kennebunkport in the rain. 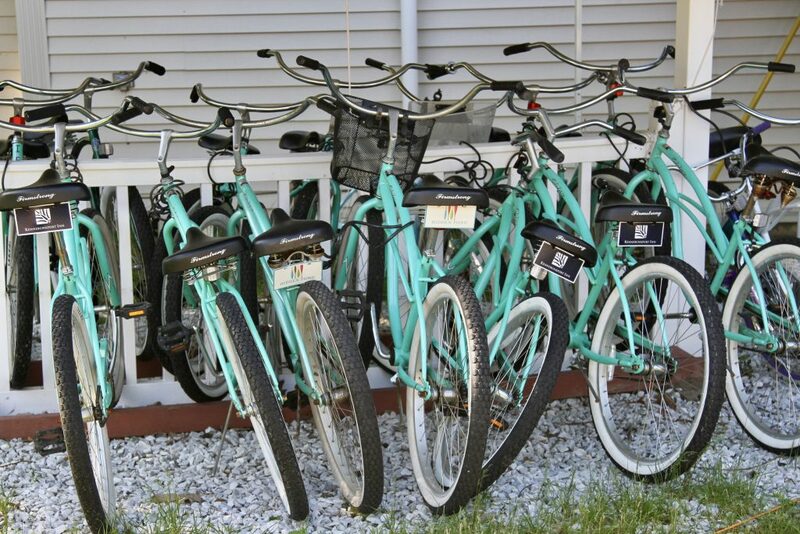 So stay tuned for even more Kennebunkport, Maine info! 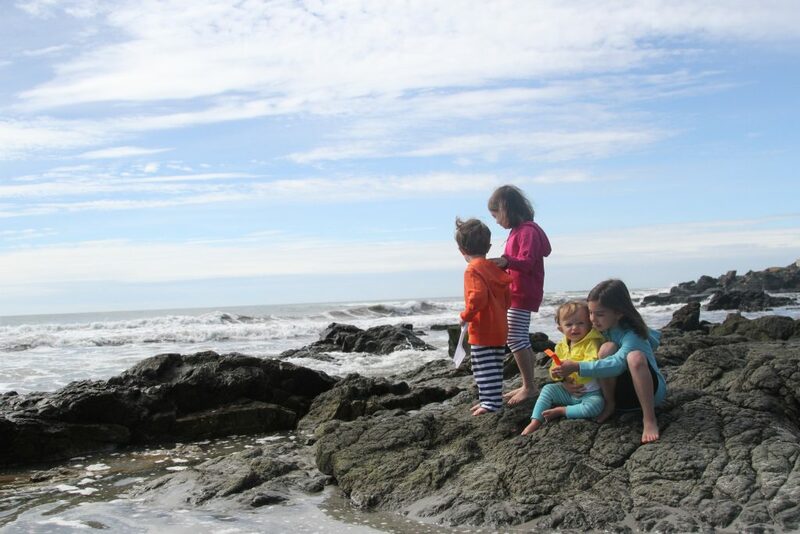 1.Mother’s Beach: We’ve traveled up and down the east coast and my kids have voted this their favorite beach yet. They love all of the rocks to explore. It’s totally different during low and high tide (both neat in different ways). 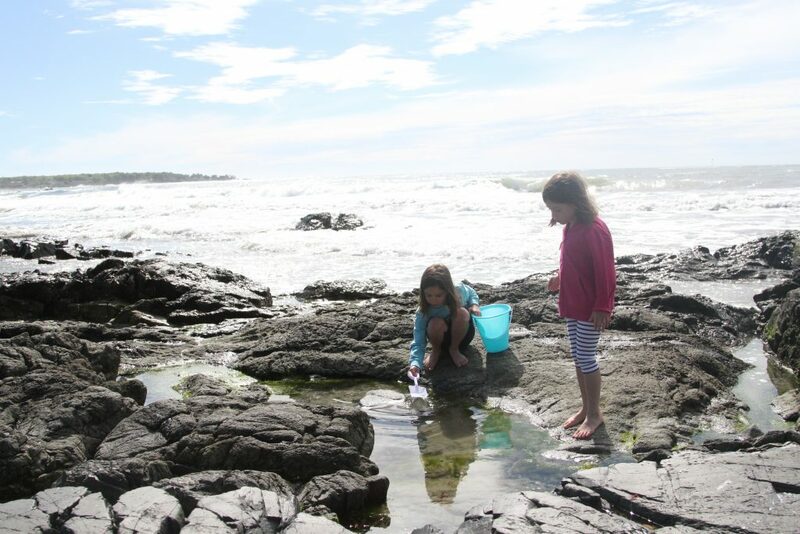 During low tide, there are tons of tidal pools to splash in and find little creatures. There’s also an amazing playground right at the beach. 2. Goose Rocks Beach: This beach is further from the center of town but worth a visit. It’s so beautiful! 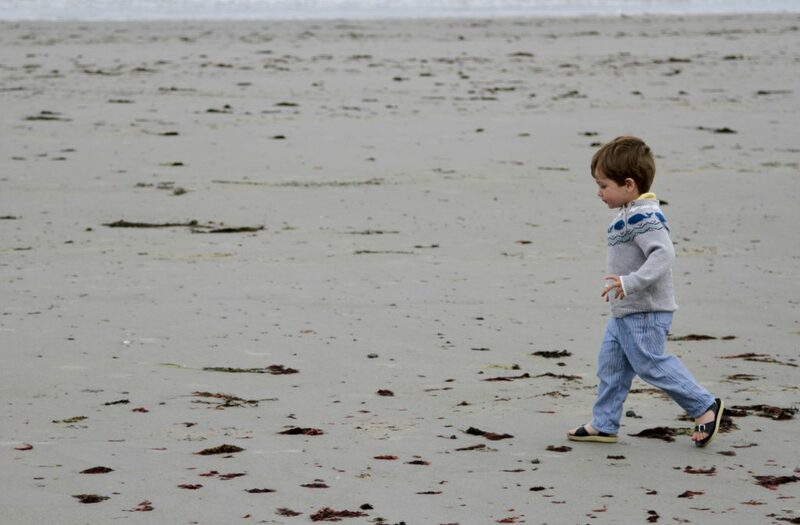 The kids loved running along the coast and in and out of the water. 3. Kylie’s Chance: I’ll be writing a whole post on this cool lobster boat experience, but if you are heading to Kennebunkport it’s a must. 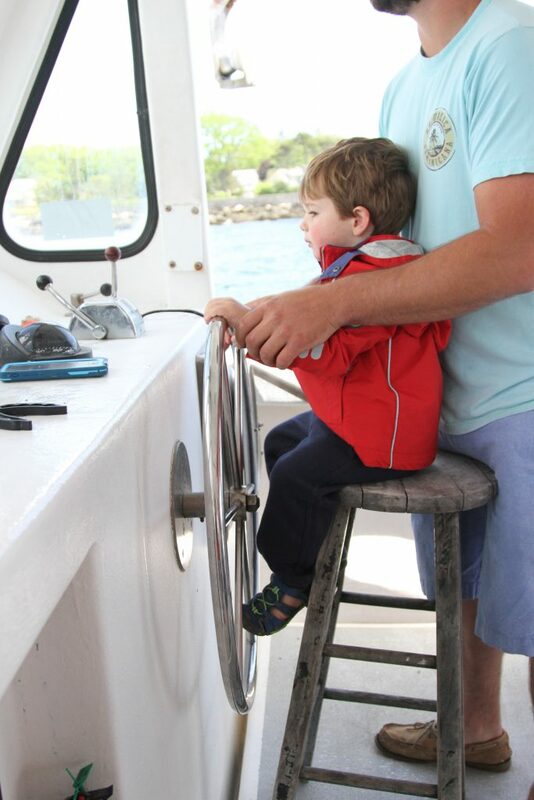 Great price, great boat and the crew was amazing with kids. 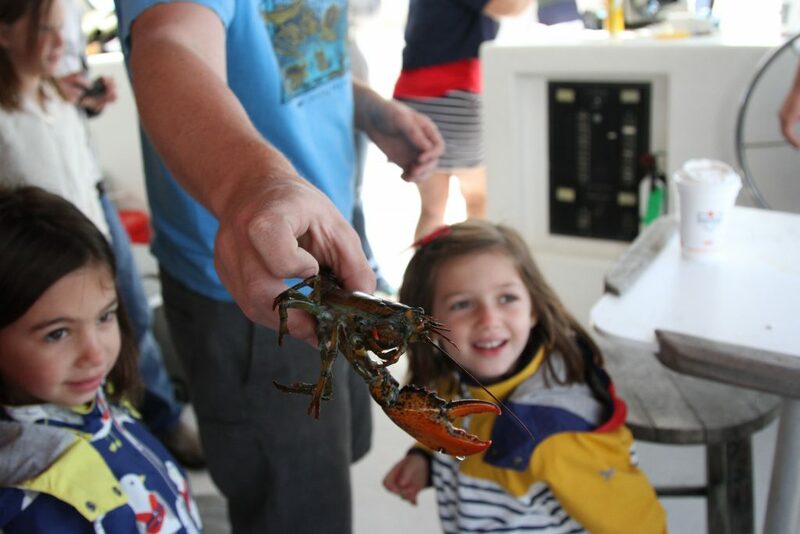 We caught lobster, they taught the kids all about catching lobster the right way, we saw the Bush compound, seals and the highlight: the kids each had a chance to drive the boat. 4. 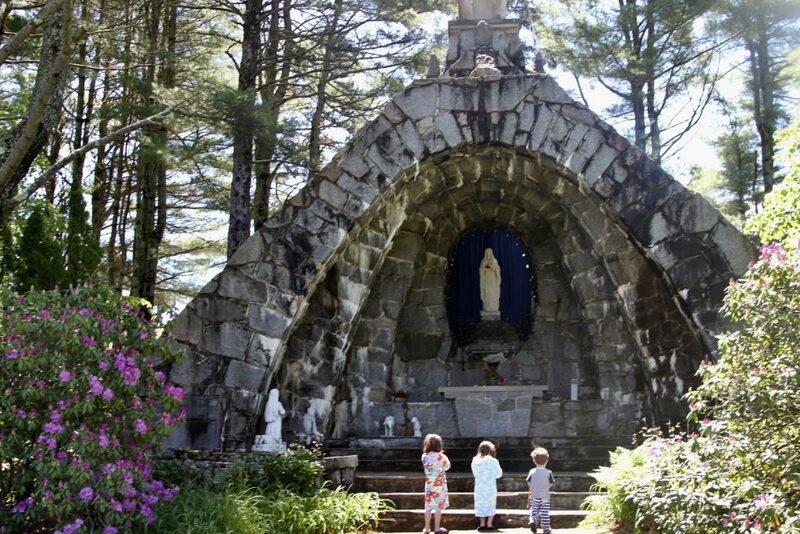 St. Anthony’s Franciscan Monastery Estate: This is a beautiful place to see that we stumbled across on our way home from Mother’s Beach. It’s stunning, peaceful and there’s a neat trail to walk along the water. 5. Dock Square: This is the area of town we stayed in. 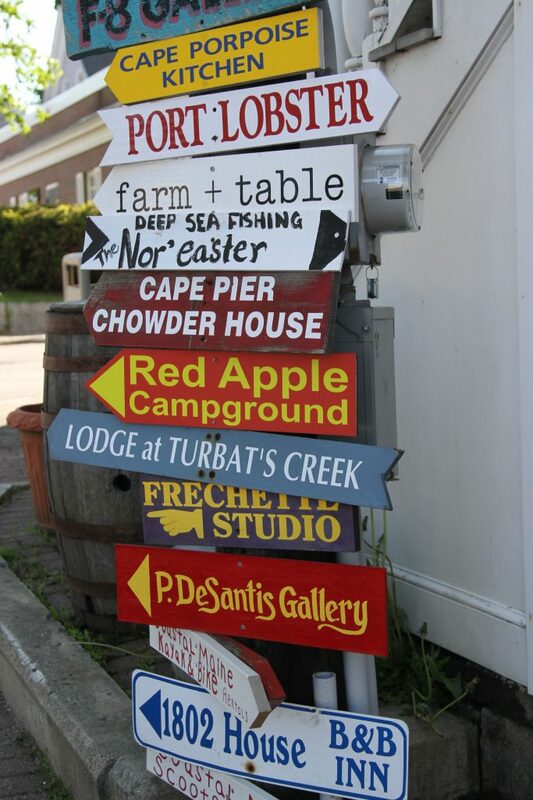 Dock Square is located along the ocean and Kennebunk River. It was settled in the 1600’s and was a long time ship building mecca. Sea captains built mansions around Dock Square – many of which are preserved today. Along with the beautiful homes and history, you’ll find all of the great shops, restaurants, etc. There’s so much to see and do! 1. Mabel’s Lobster Claw: Delicious dinner (probably my favorite one all week). I heard President Bush loves this place, which is why I tried it. They were great with kids and it was an overall wonderful family dinner experience. Obviously… try the lobster. 2. Allison’s: This was a great spot down the street from the house we rented. Delicious food, great for kids. The upstairs is very open and for an early dinner, the kids had space to walk around. 3. H. B. Provisions: Really cool place with an ice cream window, groceries, local foods and great sandwiches. We got lunch here and had a picnic nearby on the water. I loved that the owner was the one taking my order and telling me all about the history of the place. 4. Old Salt’s Pantry: Best breakfast sandwiches for breakfast and yummy ice cream in the evening. It’s a tiny place right in Dock Square. 5. Rococo Ice Cream: We were lucky enough to stay right across the street from this gem all week. What’s better than a HomeAway rental across the street from the best ice cream place in town?! They have the most unique ice cream flavors I have seen. Their very friendly staff lets you try the fun varities before deciding on what to get. 6. Pilot House: We had lunch here the 1st day, loved it so much we returned for dinner. Amazing staff, super friendly to kids and awesome food. We rented a house right in town. I was pretty nervous to pick a house to rent in a location we had never been to, mainly because I really had no idea where in town would be best for our family. 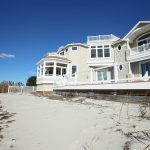 I used HomeAway for the first time and it was really helpful in finding the right vacation rental in town. First off there’s an easy map to narrow down the location and second it’s so easy to communicate with the owners. The owners of this home were awesome and helped us before and during the trip. Turns out the house we rented was steps away from Dock Square. Like look out the front door and see it close. This made the trip for us. Each afternoon, the boys would nap, Tom would catch up on work emails and the girls and I would pop back into town. This was really a special bonus as it gave me time with just Maggie and Alex, something I don’t often get. They are becoming quite the little shopping buddies for me! It was also nice being to close to town for evening strolls and ice cream trips. It’s wonderful to get the kids bathed and in pjs and get to walk around the town before bed. 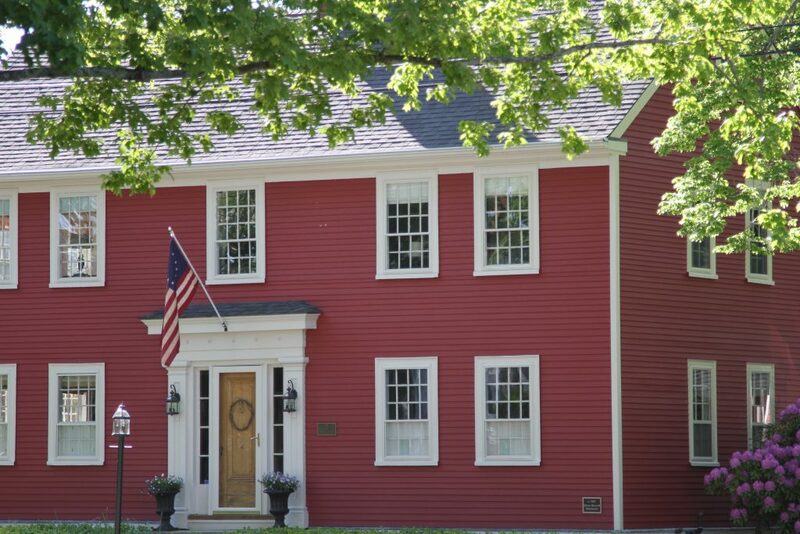 We also found out that it is a registered historic home! 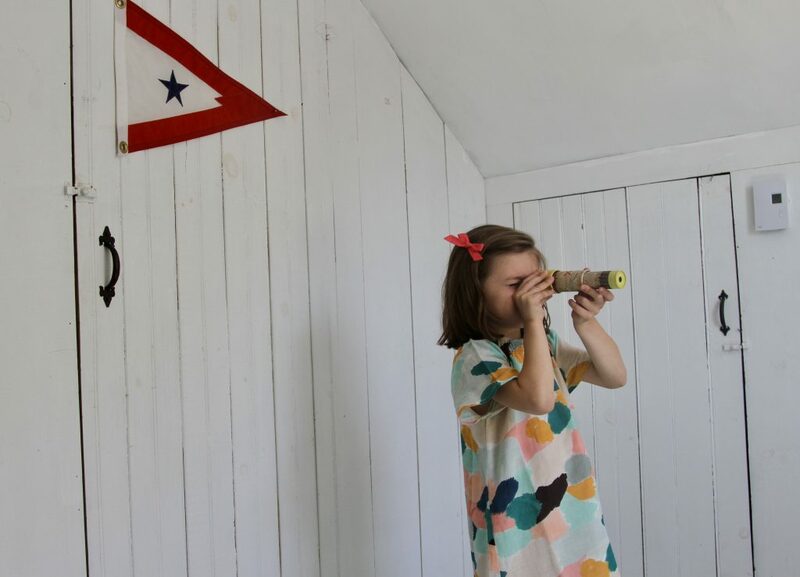 The owners have done an incredible job updating the home while keeping so much of the original charm and including books and artifacts in the home to share the rich history it holds. 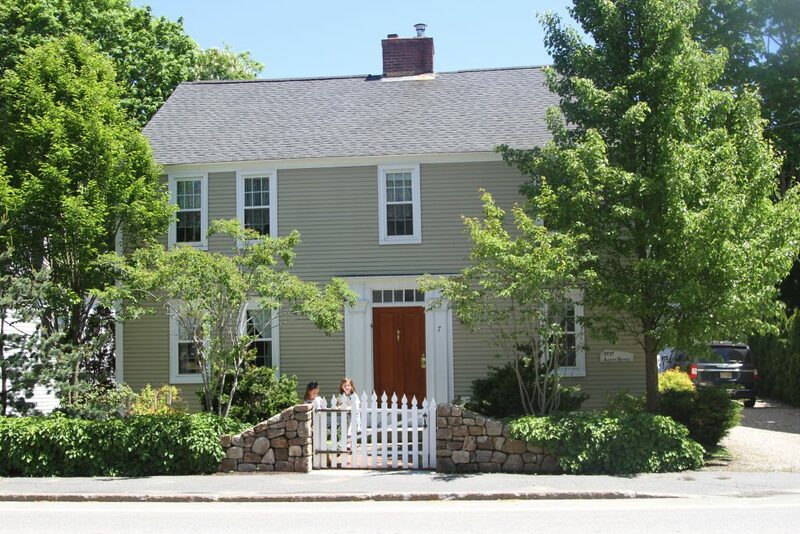 HomeAway has so many awesome rentals in Kennebunkport and the surrounding area. I would highly recommend checking it out for a family trip to Maine. HomeAway is the world’s leading online vacation rental site and they truly have something for every price point. The house we rented still has availability this summer! Click here to go right to the rental. 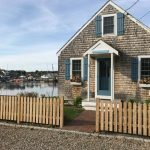 Head here for more amazing Maine rentals from HomeAway. 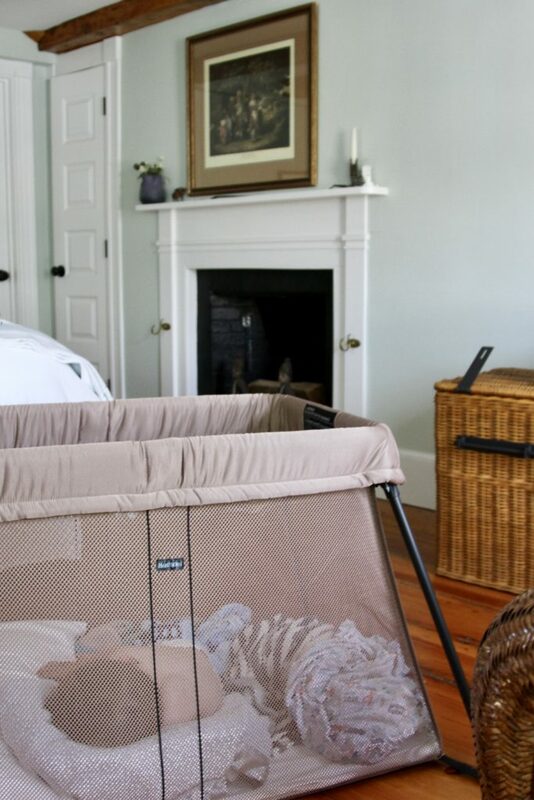 We were so comfortable staying in Maine in a HomeAway rental: everyone could spread out and relax. Plus, it was great to go to a new, exciting place that was drivable – no plane tickets! 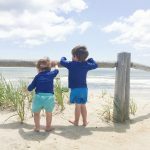 We really loved Kennebunkport, Maine and can’t wait to go back! For more photos from the trip, be sure to follow @travelwewill which is our travel Instagram. Since I got a lot of messages about them: the kids rain gear is all Mini Boden, their bright hoodies are from Primary and our travel bed (that we love!) is Babybjorn. A special thank you to friends who helped with recommendations! Disclosure: We were not compensated for this post. We did receive some credit from HomeAway in exchange for our honest review of the site. As always all opinions are my own.